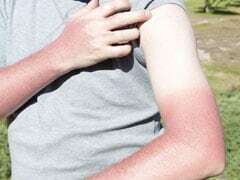 How to manage sun allergy? Home » Frequently asked Questions on Health » How to manage sun allergy? Q: For the last 4 years I am very allergic to sunlight. My face develops pimples and redness with itching sensation on exposure to sun or bright light and even during dim light. I have been treated by the local skin-specialist but the problem emerges quite often now and then. Presently I am using sunscreen with 30 spf and face wash - Catafil and other relevant cosmetics but the problem is not permanently cured. Please help. A:Ideally, one should find the cause of allergy to sun. It could be due to use of hair dye, shampoos, facial cosmetics, after shave lotion, perfumes, etc. So history taking and examination becomes most important. Unless your doctor explores for these causes and removes it from your environment, the problem will continue. Photoprotection other than sunscreen includes use of black umbrella when moving out, cotton clothing (full sleeve), and broad brim hat. Orally, you can take beta carotene and vitamin E.